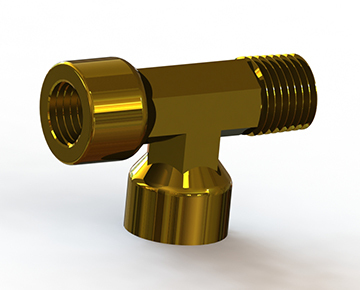 Brass and Stainless Steel threaded tees feature male or female threaded connections. Several thread sizes to choose from. 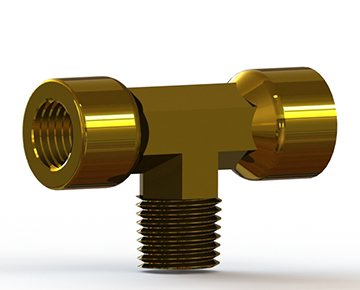 Brass and Nickel Plated Brass threaded male tees feature male NPT x male NPT or male BSPT x male BSPT connections. Several thread sizes to choose from. Brass and Stainless Steel threaded Female tees feature female NPT x female NPT or female BSPP x female BSPP connections. Several thread sizes to choose from. 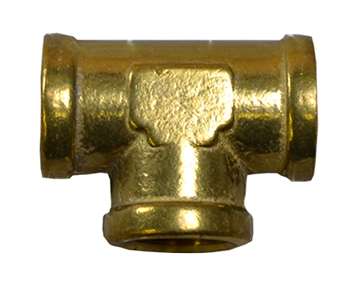 Brass and Nickel Plated Brass threaded branch tees feature NPT, BSPT and BSPP connections. Several thread sizes to choose from. 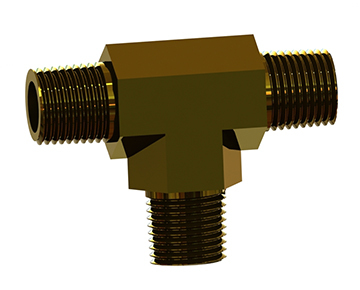 Brass and Nickel Plated Brass threaded run tees feature NPT, BSPT and BSPP connections. Several thread sizes to choose from.